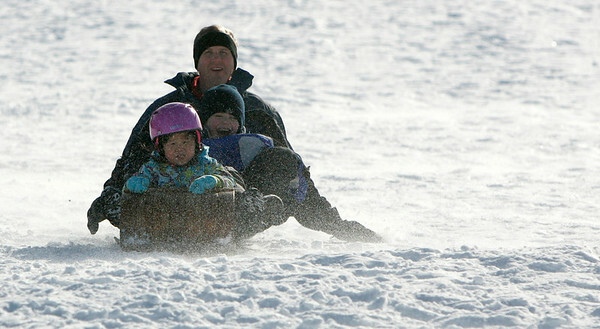 Topsfield: Mia Jackson, 5, of Beverly leads her brother Ryan, 9, and dad Brad down Wheatland Hill on their wooden sled Saturday morning. Reacting to walking back up the hill, Ryan sighed, "It's exhausting!" Photo by Deborah Parker/Salem News Saturday, January 24, 2009.